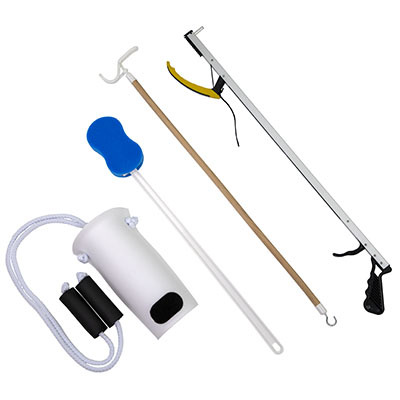 Hip kits include a variety of aids-to-daily living (ADL) products in one convenient package. Items help people avoid bending at the hip. FabLife™ Hip kits include a variety of aids-to-daily living (ADL) products in one convenient package. Items help people avoid bending at the hip. 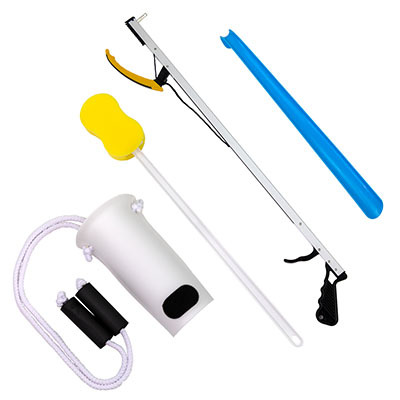 This kit includes: 26" reacher, contoured sponge, formed sock aid, 18" plastic shoehorn. FabLife™ Hip kits include a variety of aids-to-daily living (ADL) products in one convenient package. Items help people avoid bending at the hip. 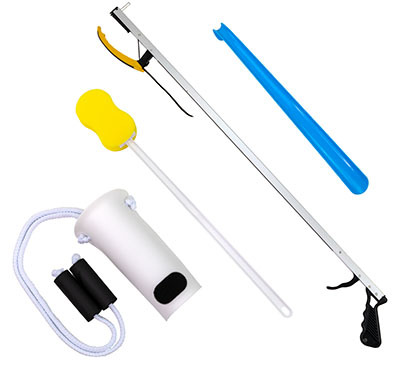 This kit includes: 32" reacher, contoured sponge, formed sock aid, 18" plastic shoehorn. FabLife™ Hip kits include a variety of aids-to-daily living (ADL) products in one convenient package. Items help people avoid bending at the hip. 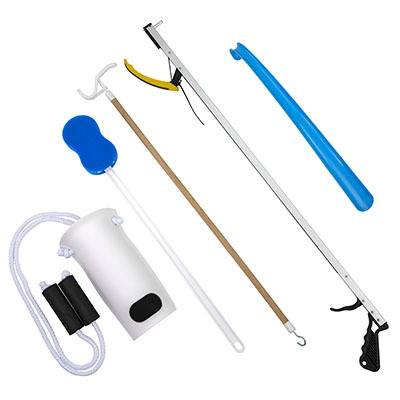 This kit includes: 26" reacher, contoured sponge, flexible sock aid, 24" metal shoehorn. FabLife™ Hip kits include a variety of aids-to-daily living (ADL) products in one convenient package. Items help people avoid bending at the hip. 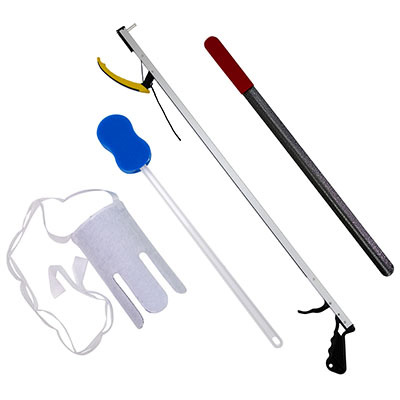 This kit includes: 32" reacher, contoured sponge, flexible sock aid, 24" metal shoehorn. FabLife™ Hip kits include a variety of aids-to-daily living (ADL) products in one convenient package. Items help people avoid bending at the hip. 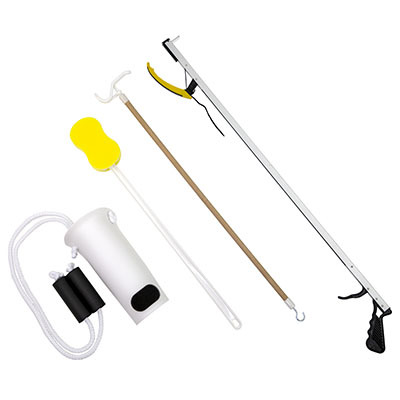 This kit includes: 26" reacher, contoured sponge, formed sock aid, 24" dressing stick. FabLife™ Hip kits include a variety of aids-to-daily living (ADL) products in one convenient package. Items help people avoid bending at the hip. 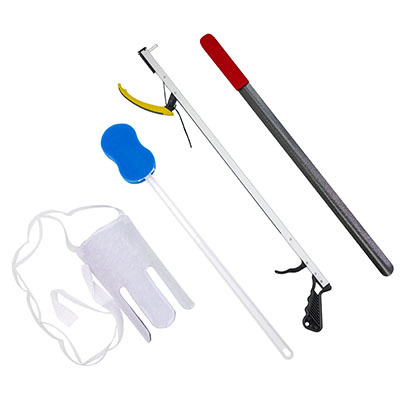 This kit includes: 32" reacher, contoured sponge, formed sock aid, 24" dressing stick. FabLife™ Hip kits include a variety of aids-to-daily living (ADL) products in one convenient package. Items help people avoid bending at the hip. 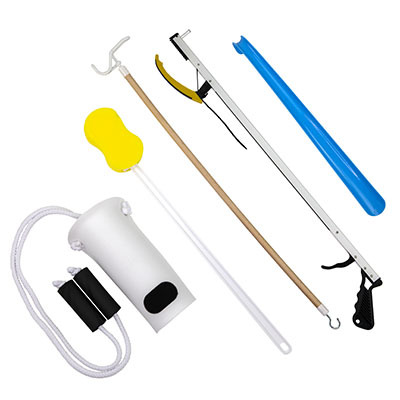 This kit includes: 32" reacher, contoured sponge, formed sock aid, 18" plastic shoehorn, 24" dressing stick.